Serving the Greater Pittsburgh region, our professional CPAs offer comprehensive Bookkeeping services for small, medium, and large businesses in the North Hills including Wexford, Cranberry Twp, Ross Twp, Warrendale, Sewickley and more. 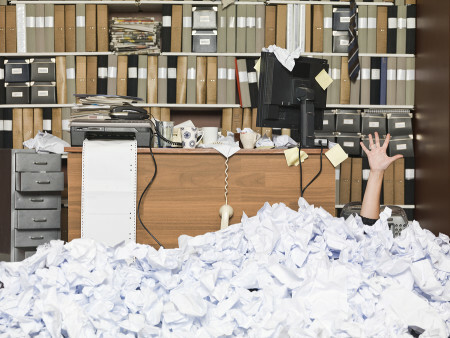 Don’t get buried in bookkeeping duties! Hand it off to the professionals at W Cotton Mather CPA. Bookkeeping is an absolute necessity for businesses of any size, but the time required to maintain & monitor expenses and revenues can be more than a busy business owner has available. At W Cotton Mather CPA, we specialize in bookkeeping services for small- & medium-sized businesses. Our knowledgeable staff will provide flexible bookkeeping solutions so that you can remain focused on running your business. We have been working with business owners across Pittsburgh & the North Hills for over 30 years. As a dedicated part of your business team, we will help you understand your numbers and your bottom line, and how you can use this information to proactively manage your business operations. Our easy-to-understand bookkeeping service ensures that your business finances are tracked appropriately and that you are receiving the correct information regarding your financial status. Outsourcing your business bookkeeping to the pros at W Cotton Mather CPA will save you both time & hassle, allowing you to get back to the parts of your business that you truly love. Don’t waste another minute trying to understand QuickBooks or some other financial tracking software. Let us create a flexible bookkeeping solution that meets your business’s particular needs & functions. Self-employed individuals & independent contractors still require basic bookkeeping solutions to ensure that they remain profitable and organized, especially for tax purposes. We will help you manage and track your finances accurately & effectively so you have more time to do what brings in your income. We help small business owners maintain control, stay in compliance, and understand the value of their finances. Our professional accountants offer bookkeeping solutions that will give insight on budgeting and financial forecasting so you can increase your profits and reduce your operating costs. Large corporations can save thousands of dollars by outsourcing their bookkeeping duties to a CPA firm opposed to hiring an in-house bookkeeper. Gain the oversight of an experienced accountant at a fraction of the cost and get peace of mind knowing your finances are accurate and up-to-date. Use our bookkeeping records to help make important business decisions and create business projects to increase your profit and save money on taxes. Contact the friendly accounting professionals of W Cotton Mather CPA today to find out how we can meet the unique bookkeeping needs of your business.